During the Obamas’ eight years at the White House, Michelle Obama’s hair, and how she wore it, was a point of interest. Now that she’s out of office, it continues to be. You’ve probably seen this photo floating around of the former First Lady wearing her hair in a low ponytail, in its more natural state—it looks like she had it straightened and then either got her hair wet or faced humidity. 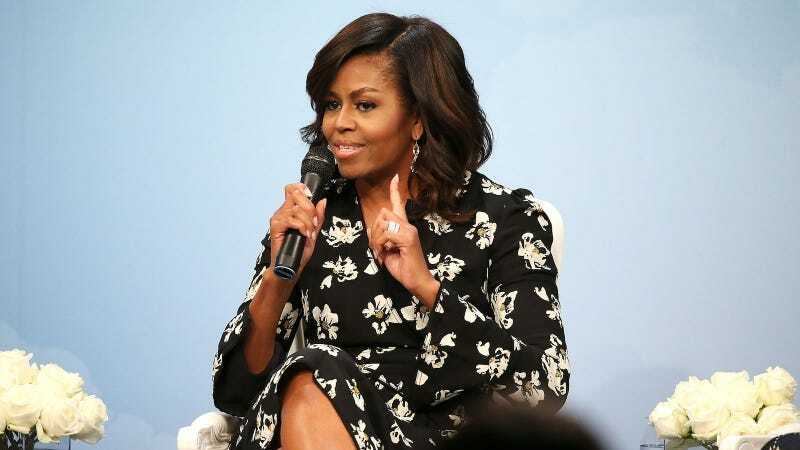 Either way, seeing such a casual image of Michelle Obama without her usual straightened coif felt refreshing to many black women, and so, various outlets reacted to the reactions on social media. According to Michelle’s longtime stylist, Johnny Wright, the photo was likely taken at some point during the Obamas’ recent vacation.